We’re not like most plumbing companies. At BASI, we take the time to listen to your ideas and get to know your requirements. We don’t outsource any stage of your project and will only install a bathroom we know is completely right for you. As local suppliers and installers of high quality bathrooms, we’ve made it our mission to make the bathroom installation process as straightforward and hassle-free as possible for our customers. From design to installation, expect only to deal with qualified BASI experts. 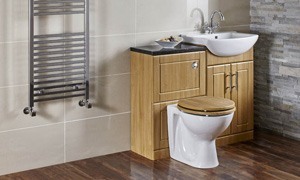 You deserve your ideal bathroom, installed by courteous and skilled individuals. There are plenty of plumbing companies who’ll simply fit a suite in your home and say goodbye. But at BASI, we take care to respect your home and provide friendly, helpful advice every step of the way. We design bespoke bathrooms that suit your home and incorporate your unique style preferences. 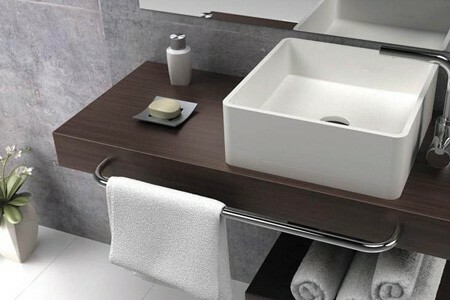 That’s why we never send your design to outsourced plumbing companies – all of the installation work is completed by skilled BASI fitters for a completely joined-up approach. Take a look at our beautiful range of bathrooms, hand-picked from some of the UK’s leading manufacturers. Choose from smart contemporary, classic luxury and beautiful vintage styles to find a bathroom design that’s perfect for your home. Are you looking for a little inspiration? 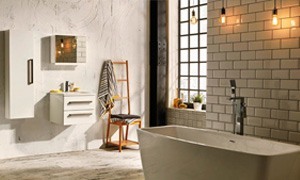 Visit our bathroom inspiration centre where you’ll find our gallery of completed installations and design ideas to help you get started.